Leading pharmacy, health and beauty retailer Guardian Malaysia celebrates the season of giving with 100 underprivileged children at a special luncheon on 29 Dec 2015, presenting each child with exclusive Garfield On-the-Go backpacks, trolley bags and schooling necessities. Officer of Guardian Health and Beauty Sdn Bhd (Guardian Malaysia) who hosted a luncheon organised exclusively for them and their care-givers. line with the Company’s giving back to the community programme,” He hopes the exclusively designed bags featuring one of the most-loved icons for youngsters would help kick-start the school year for the children. 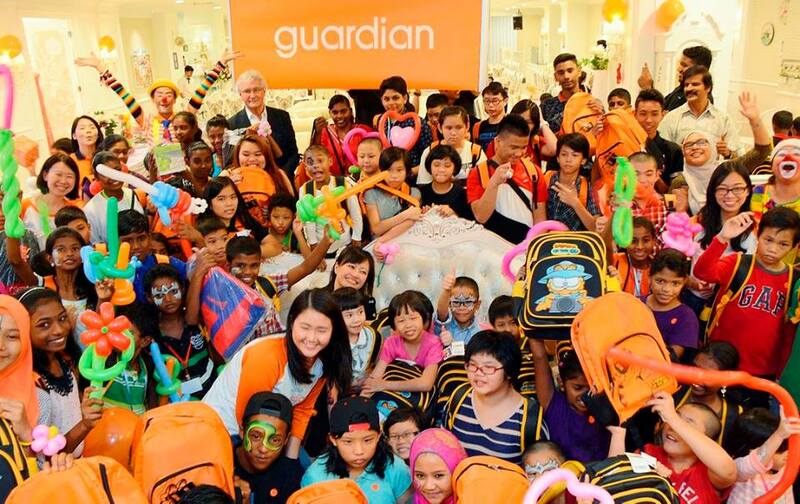 activities put together just for them by Guardian Malaysia. incredible traction since it began in November, and the Company is constantly on the lookout for ways to reward customers and improve their shopping experience at Guardian. collected 20 stamps, they can redeem Garfield merchandises at discounted prices. Consumers can also gain extra stamps by purchasing star-buy items. - Redeem a Garfield 18” wheeled luggage at RM129 (retail price RM399). Redemption of these items can be made up to 14 March 2016.
launched a Back–To-School promotion from 29 Dec 2015 until 4 January 2016, to enable shoppers and fans to redeem two items at even more attractive prices. They are the backpack at RM31, instead of RM39, and the trolley school bag at RM59, instead of RM69. up for grabs so don’t miss out!